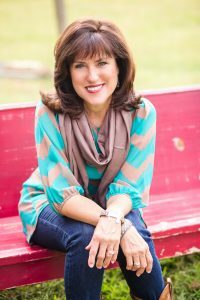 I’m excited to welcome my friend, Sharon Jaynes, to my blog today to share her new book, “A 14-Day Romance Challenge: Reigniting Passion in Your Marriage.” You will be blessed by her words of wisdom AND her GIVEAWAY! 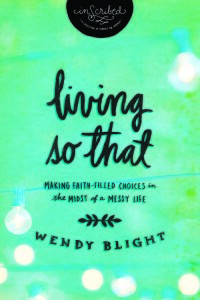 Read through to the end of the post for a chance to win a copy! Every day wasn’t earth-shaking romance, even though there was some of that. Leave a comment and tell one thing that attracted you to your husband when you were dating. 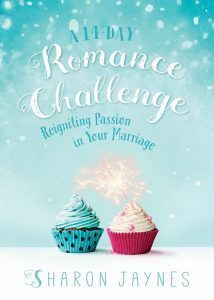 We’ll randomly pick one name and send a FREE copy of Sharon’s new book, A 14-Day Romance Challenge: Reigniting Passion in Your Marriage. I’ll announce the winner next Tuesday. Welcome to all my Encouragement for Today friends!! I’m excited you stopped by today. A few weeks ago, my husband and I enjoyed a lovely dinner with a young couple soon to be married. They asked for any advice we had to share. After 27 years, surely we had some wisdom! As my husband shared his advice, which was hilarious by the way, my mind raced. Mine wouldn’t be clever or funny like his. I wanted my words to encourage, but I also wanted to be realistic. Marriage is wonderful, but it’s also hard…very hard. Especially those first few years. So I spoke honestly. The most spoken word from my lips was “prayer.” But, that’s not how it was early in my marriage. 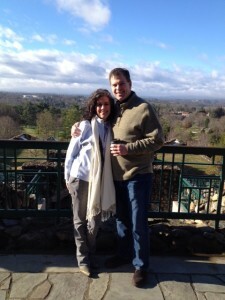 I confessed that I rarely prayed for anything, let alone my marriage. As the years passed, I prayed a bit more. But they were self-centered prayers asking God to change my husband, to give me patience with his annoying habits, and to curb my anger when he ignored my requests and hurt my feelings. But I never really prayed FOR him or for our marriage. Twenty-seven years later, I cling to prayer. I pray for my husband, my marriage, my children and our family. It’s a staple in my prayer time. It’s often not long and involved, but it is continual. Yes, I set aside specific prayer time for my family, but I also pray throughout the day as the Lord brings each to mind. Praying for our husbands is the greatest gift we can give them. Praying with our husbands is even better! Praying together intimately knits our hearts together in a way nothing else can. It creates an impenetrable shield about our hearts and our home that NOTHING can pass…especially the evil one. Praying for my husband comes easy for me. But I’m not so comfortable praying with my husband. It’s a “me” thing. Anyone else relate? I pray with women all the time…friends, Bible study leaders, speaking event coordinators and leadership teams. But I struggle praying with my husband. Excuses abound. Life is busy. It’s hard to carve out time. I feel a bit uncomfortable. I’ve learned, these are Satan’s tactics. He doesn’t want us to pray together because he knows prayer STRENGTHENS marriages and DEFEATS his schemes. Sweet friends, the only way to pray is TO DO IT!! To intentionally take a step and pray. A few days after our dinner with this young couple, I sat down at my computer and wrote a prayer for them. I haven’t given it to them yet, but I thought I would share a portion of it with you. Heavenly Father, we thank You and praise You that every good and perfect gift is from You. You alone are the King of Kings and Lord of Lords. You alone are our Redeemer and Savior. You alone are the Lord of Heaven and Earth, Sovereign over ALL things, including our marriage. God, I thank You that Your Word says You know the plans You have for our marriage and our family, plans to prosper and not to harm, plans to give us a hope and a future. What a precious gift to know that You planned our union before time began! This is Your good, pleasing and perfect will. Lord, Your Word promises that when we seek You with all our hearts, we will find You. Father, we pray that You will remind us to daily come before You, seeking wisdom about our marriage and our family. And thank You for Your promise that You will generously pour out that wisdom. And thank You, Lord, that there is no good thing that You will withhold from us. Father, You are El Roi, the God who sees all. As husband and wife, help us honor You each and every day. Enable us to love each other with Your sacrificial love…to lay aside any hurt, anger, bitterness, resentment, and any other issue, including our wills, that would prevent You from being at work in and through our marriage. Release the power of Your Word and Your Spirit into our marriage and our home. We are asking You to do as You promise—to do immeasurably more than we could ever ask or imagine. We ask that from Your glorious storehouses of riches You will make our marriage beautiful. We boldly come to Your throne and ask that our marriage be rooted and established in Your deep and abiding love, the love that surpasses all knowledge. Help us to live lives worthy and live out a marriage worthy of You, Lord. Give us great endurance and patience. Fill us with Your joy so that on the hard days, we will look beyond our circumstances and remember the Promises made in You. Keep our eyes on You and not on our faults and difficult circumstances. Help us to be living sacrifices to You, giving up our own desires to accomplish Your greater purposes for our marriage and our family. Father, humble our hearts to recognize when we are wrong. Make our hearts tender to any faults, selfishness, self-centeredness. Equip us to combat critical spirits. Through Your spirit of humility, work in and through us daily to eradicate all pride so that we will put each other first in all things. Help us to surrender our will to Yours. Help us to lay on the altar anything that will get in Your way. Open our eyes to see those things and make them clear. Transform our marriage and our family each and every day by the power of prayer and Your Word. Make our home one that will be built solidly on the foundation of Jesus. May our house be a safe place in this world where we feel loved and protected. Help us to humbly submit to You and to resist Satan. Thank You, Father, that there is hope in You, hope for a rich, wonderful future for our marriage and this family. And whatever Satan throws at us, we trust You will empower us to battle him victoriously and what he intends for harm, You will give purpose and turn into good. Cover our family from this day forward with Your hedge of protection. Keep us in perfect peace because we love You and have our minds fixed on You. Thank You that You have begun a good work and will perfect it for Your glory. We ask all of these things in the powerful name of JESUS. For a pdf of another marriage prayer I have written, click here. Before we close today, will you commit to doing something with me? 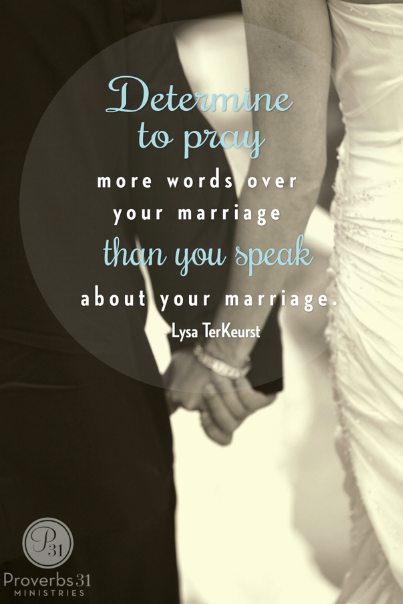 Let’s take one intentional step together toward praying more in our marriage. If you’ve never prayed for your husband, take a step of faith and pray Scripture over him. My Encouragement for Today devotion gives you a great set of Scriptures to begin. Click here to find them. 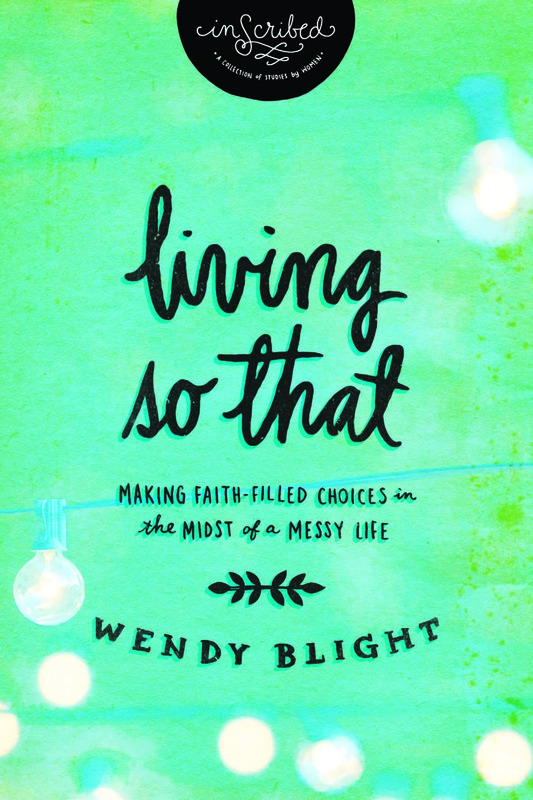 Lysa TerKeurst shares some great Scriptures as well. Click here to find hers. And if you’ve never prayed with your husband, let’s commit to pray the prayer I shared above with our husbands…at least once. And if it goes well, pray it weekly. And if you are up for it, make this prayer your own. Add your favorite Scriptures and add words that reflect your dreams, your struggles, your heart for your marriage. Please leave a comment and share your first step toward more prayer in your marriage…a Scripture you will pray or maybe you will tackle the entire prayer! I will pray for each of you who leaves a comment today. ***The winners of Rob Teigen’s gift packs are below. Congratulations! Please e-mail me at deuteronomysix@aol.com with your full name and address so we can get these in the mail to you. Carol who posted on 6/9 at 11:23 a.m.
Nancys 1128 who posted on 6/9 at 2:23 p.m.
Susan who posted on 6/10 at 11:59 a.m.